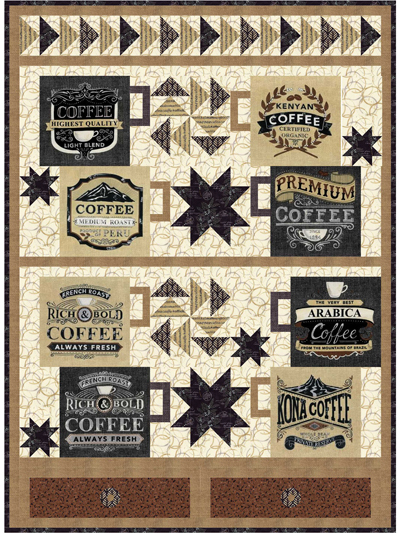 3 designs in 1 pattern! 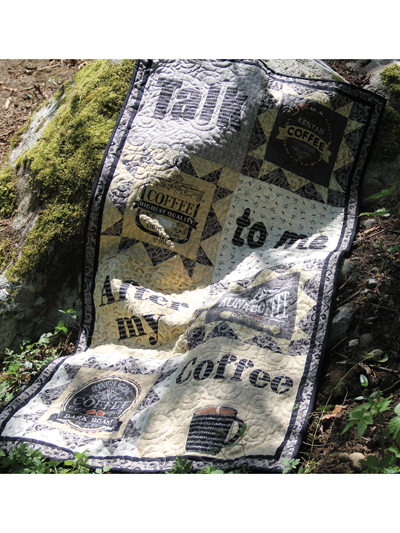 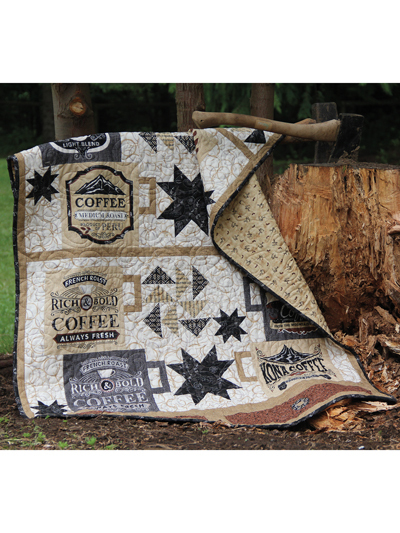 If you love the smell of coffee in the morning, these quilt designs are for you. 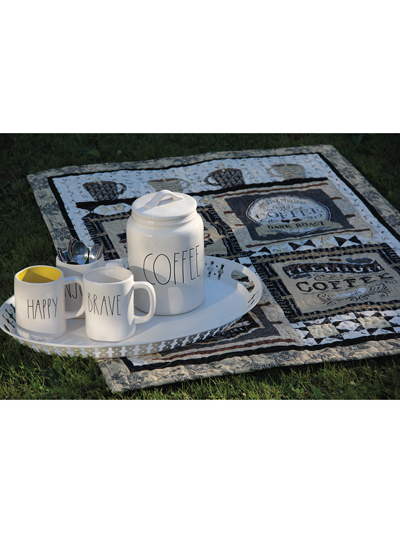 You're sure to find a favorite among these 3 designs! 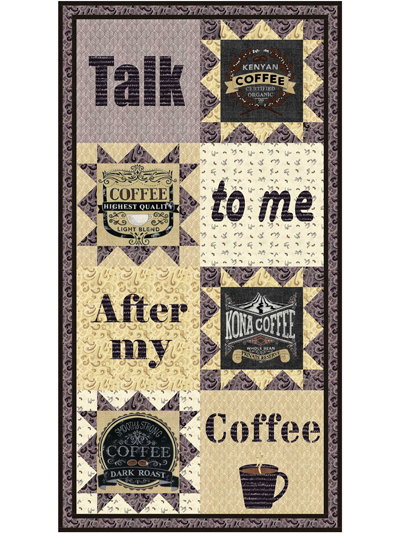 Finished sizes: coffee delivery 30" x 41"; talk to me 27" x 51"; coffee in my cupboard 38" x 52". 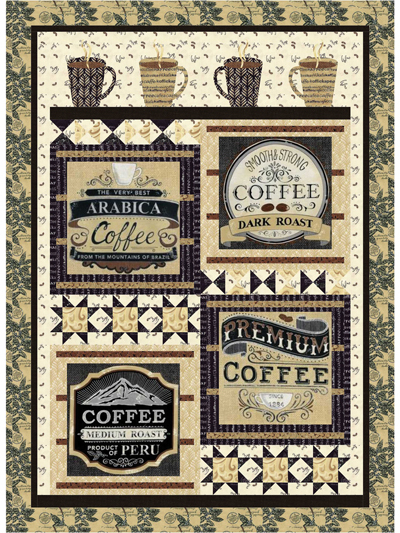 Pattern uses Brew Coffee Panel by Moda.